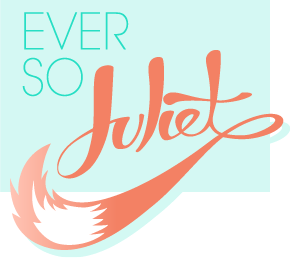 Ever So Juliet | Edinburgh lifestyle blog: Sugar & Vice necklace giveaway! It never rains but it pours, right? It has been AGES since my last giveaway... I had planned to have a couple across the year (nicely spaced out and all), but have somehow managed to set up three over the next week with no special reason to do so. Still, free stuff is always nice, right? 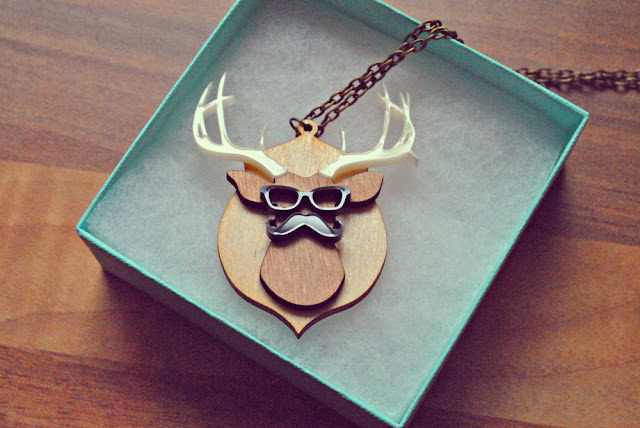 So as a massive THANK YOU to everyone who reads this blog (and according to google analytics that's a massive 4,500 of you per month, jeeezo), here's the first prize - an amazing Stag in Disguise necklace by Sugar & Vice. I came across Sugar & Vice a few weeks ago and was SO impressed with their wares that I was over the moon when they agreed to partner up with me for a giveaway. They let me choose which item to pick for you lovely lot and it was so hard! I was properly swithering over the magpie necklace, crown necklace & heart padlock brooch (I want them all) but in the end I couldn't resist this fellow. It's a stag. With glasses. And a mustache. Do you need anything else? To enter you just need to fill in the simple rafflecopter form below. This is the first time I've used this so here's hoping it runs smoothly!